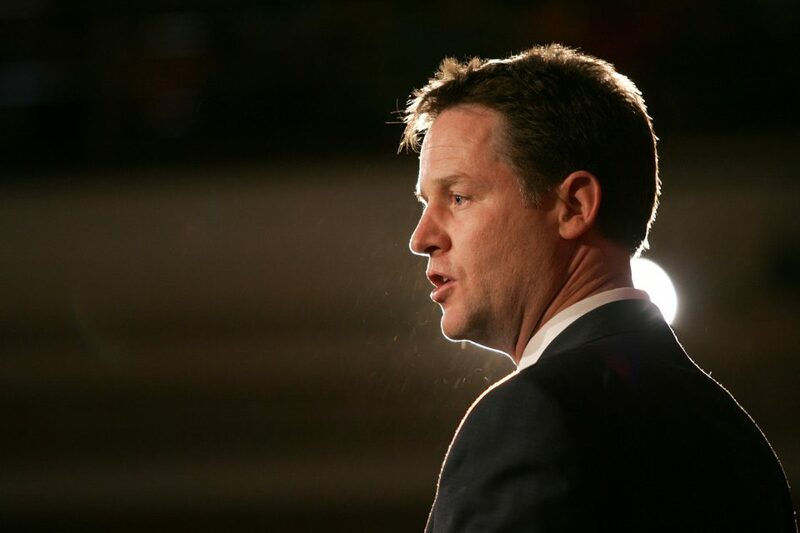 Will Facebook give Nick Clegg the power it needs to reinvigorate its public image? The easiest way for Facebook to avoid regulation and legislative intervention would be to become the sort of company that doesn’t need it. That’s just not going to happen with the current Facebook power structure. Zuckerberg rules as an autocrat, with Sandberg as his enforcer. One of the most surprising moves Facebook has made in the last month — to British eyes, at least — was the hiring of Sir Nick Clegg as the new VP of global policy and communication. While hiring a former deputy prime minister might seem like an obvious choice if you’re not au fait with British politics, he’s a deeply controversial figure at home, who went from pre-election “Cleggmania”, thought a difficult coalition with the ruling Conservative party, into two successive electoral humiliations for his party, the Liberal Democrats. In short, he’s seen as a loser and a failure. Why, the line of thinking goes in the UK, would Facebook hire someone with such a disastrous record? The really big question, of course, is if Clegg’s job will prove to be a purely PR and lobbying one, or if he has yet has ability to effect change within the organisation. The easiest way for Facebook to avoid regulation and legislative intervention would be to become the sort of company that doesn’t need it. That’s just not going to happen with the current Facebook power structure. Zuckerberg rules as an autocrat, with Sandberg as his enforcer. Can they break open that inner circle enough to listen to a man with genuine knowledge of some of the biggest challenges that the site is facing? Sir Nick says he has sought and received assurances about the centrality of his role at the company. "I said to them, if you're prepared to let me into the inner circle, in the black box, and give me real authority, then I'm interested." It’s worth bearing in mind that Clegg, prior to entering the UK parliament and becoming deputy prime minister, also worked for the European Commission and was an MEP for five years. He's very deeply versed at working politically on the international stage — and has deep experience of Europe. It’s clear, right now, that the greatest legislative threat to Facebook is coming out of Europe. While the US government holds hearings, the EU is legislating, with GDPR as the first major challenge to the right of the big platforms to do exactly as they like with our data. The choice of Sir Nick, as opposed to, say, an American or Chinese politician, suggests that this is, at the very least, a defensive move for Facebook in the face of growing political interest in bringing the social network to heel. And with Facebook under increasing criticism for its role in making political situations worse in Myanmar and elsewhere, the company really needs an international-level politician negotiating these political waters. In one sense it’s a simple conundrum: Facebook follows the law in the country it operates in. But some of those laws are extremely draconian and illiberal, and Facebook is quite a liberal company. A good analogy is, I don’t know, being a liberal that’s trying to work inside a conservative system, which requires endless, difficult, irritating compromise for everyone. Who has more experience than Nick? And, above all, Clegg is a politician who has shown an ability to compromise for what he sees as the public good — even at great cost to him and his party, His decision to go into. Coalition with David Cameron’s Conservative Party was the right one for the country, at the time, delivering a stable — and more moderate — government than letting the Tories rule alone would have done. The other option — propping up the Labour government that had just been rejected by the electorate, was never really a choice. And once you’ve formed a coalition with David Cameron, how bad can one with Mark Zuckerberg really be? I’m sure this one will be more successful. It is very hard to see Clegg making anything worse for Facebook. Their reputation is at an all-time low, now. Even if Zuckerberg fails to deliver on his promise of genuine power for Clegg, then he will be merely ineffective rather than damaging. We cannot wish away technological progress. Nor can we simply bemoan the social, ethical and political dilemmas raised by the tech revolution. Every major technological breakthrough in human history has created challenges as well as opportunities. We need to find solutions, not succumb to the easy emotions and polemic of a “tech-lash”. That’s a sentiment I suspect many NEXT attendees could agree with. Personally, I’m inclined to give him the benefit of the doubt. In retrospect, we can see the difference the Liberal Democrats made in coalition, restricting the worst urges of their partners, and producing a surprisingly productive government. They were, I think, unfairly punished by an increasingly polarised electorate for making the best of a bad situation, and compromising intelligently. Hopefully, though, Facebook has finally realised that it needs help, that it needs to change, and that the only way they can do that will be by bringing in outside expertise. Sir Nick is a man who has plenty of experience of difficult negotiations, of the global political stage, and making the best of things. There are some encouraging signs. Facebook is letting France observe its content moderation process, in an unusually open move, and one that signals a willingness to work more closely with government. It’s a hopefully sign at the beginning of Sir Nick’s tenure. But can Zuckerberg really bring himself to listen to anyone else?